Okay. So, I was wrong. It's a D80. But, I still really think of it as a D60. 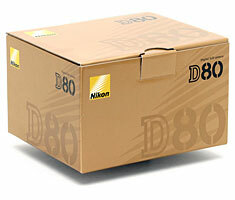 That's a nice picture of the Nikon D80 box :-) reminds me of this funny piece written by John Michael Cooper - wonder if you'd read it?